In spite of my southern drift I’ve eaten chili year round since I was just a little shaver dependent on my aunts and grandmas to make my food for me. It’s about to start hitting the 90’s in New Orleans and I’m still making a minimum of one pot per week. I’m a lifer in the chili con carne game. Last week I was doing what I always do, reading old newspaper articles about chili, when I stumbled upon a human interest piece on Johnny Cash. 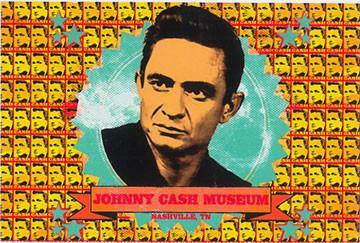 It was from the era when Cash had become a reprobate and was likely a spin piece put out by his publicity team. * Cook with little shortening until medium done. * Add chili seasoning mix, cook 5 minutes. * Add beans, tomatoes, spices, onions, sugar, chili powder and chili con carne mix. If chili is too hot, add 1-2 cans tomatoes. Add tomato paste. If too thick, add water. Simmer on low heat 20 minutes. Serve with crackers.